During the closing session of the 2012 meeting of the Clinton Global Initiative, former President Bill Clinton failed to hold Egyptian President Mohammed Morsi to account for the anti-Semitic and anti-U.S. incitement engaged in over the years by both Dr. Morsi and the Egyptian Muslim Brotherhood. Video (time 55:03) of the session shows that Mr. Clinton seemed about to ask Dr. Morsi about this incitement but ended up remarking only that the “fairly large” number of Jews in the audience were among those who wished him well and wanted him to succeed. Few if any in the audience could have realized that Bill and Hillary Clinton have had individuals belonging to both the Egyptian Muslim Brotherhood and to Saudi Islamists in their employ. Spending the early part of his life in Alexandria, Haddad hails from a family of influential Brotherhood members. His father is Essam El Haddad, a member of the organization’s Guidance Bureau, which is one of its highest decision-making bodies. After graduating, Haddad worked as a consultant in competitive intelligence for a multinational firm. He was earning well, but at one point told his father that he was losing purpose in life. He then received a message from [Khairat] Shater that marked a turning point in his life. He then started working for the Clinton Climate Initiative, while continuing to work anonymously on the Renaissance Project. The Clinton Climate Initiative taught Haddad about managing an NGO and the role that civil society takes between the state and private sector, lessons he is applying to the Renaissance Project. Within the Brotherhood, Haddad says he sits on the group’s internal reform committee. Gehad’s father, Essam El-Haddad, chairs the Arabian Group For Development (AGD) which is where Gehad served as a consultant. The ADG lists among its most “significant and trusted clients ” Islamic Relief, an arm of the Global Muslim Brotherhood discussed below, and Egyptian televangelist Amr Khaled’s Rightstart Foundation where Gehad worked as a marketing manager. Gehad El-Haddad’s ties to the Egyptian Muslim Brotherhood deepen through his father who in August 2012 was appointed as one of four Egyptian Presidential assistants with responsibility for foreign relations and international cooperation. Dr. Essam El-Haddad is a UK trained physician and long-time Muslim Brotherhood member who was appointed to the Guidance Bureau in February 2012, later becoming responsible for Foreign Relations on behalf of the Brotherhood’s Freedom and Justice Party. Dr. El-Hadadd is also a member of the board and former chairman of Islamic Relief, an Islamic charity close to the Global Muslim Brotherhood and said by Israel to be controlled by Hamas in the Palestinian Territories. According to an online bio, Dr. El-Haddad also works also as a management consultant for the Dubai-based Skopos Company, described as “one of the first consulting companies in the Middle East and Africa to focus solely on Organizational Development.” According to a company brochure, Skopos is doing business as Skopos Consulting while the Louis Allen Worldwide website refers to the company as Skopos Middle East and says it has an equity interest in the company. In turn, Louis Allen Worldwide lists a number of prominent clients including Citibank, Pepsico, and Ford as well as least two Saudi companies. The Skopos brochure also identifies Hussein El-Kazzaz as the Managing Director of Skopos Consulting. Dr. El-Kazzaz is an economic advisor to the Egyptian Muslim Brotherhood’s Freedom and Justice Party. (FJP) and in August, Egyptian media identified him as a Muslim Brotherhood member and one of the President’s consulting team. According to Egyptian media, Dr. El-Kazzaz is also the “intellectual driving force” behind the Brotherhood’s Nahda (Renaissance) Project and member of the project’s steering committee chaired by influential Brotherhood leader Khairat Al-Shater. It should also be noted that a translation of a lecture on the Nahda project given by Khairat Al-Shater reveals that the leadership of the Egyptian Muslim Brotherhood views its entry into politics as only a stage in furtherance of its ultimate goals of Islamic government, both on an Egyptian and global basis. Disturbing as the El-Haddad family ties are to the Muslim Brotherhood and to the Clinton Foundation, Gehad El-Haddad is not the only individual employed by the Clinton family whose relationship to the Global Muslim Brotherhood should raise concerns. The New York Times reported on Thursday that long-time aid to Hillary Clinton Huma Abedin was working, among other side jobs, as a consultant to the William Jefferson Clinton Foundation while still employed by the US State Department. Our predecessor publication was the first to report on the ties of Huma Abedin’s family to Saudi Arabian Islamists and which have since become part of the political firestorm that began in 2012 when a group of House representatives sent letters to five federal agencies demanding investigations into alleged infiltration by the Muslim Brotherhood. Many of these ties center on the Journal of the Institute of Muslim Minority Affairs (IMM) edited by Human Abedin’s mother Saleha M. Abedin (aka Saleha Mahmood) and which has Brotherhood supporter and Saudi-funded Georgetown professor John Esposito on its advisory board. 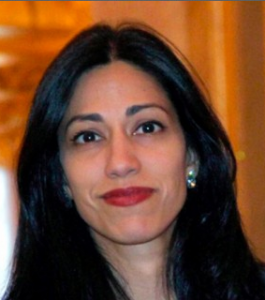 Huma Abedin was listed by the IMM Journal as an Assistant Editor from 1996 until 2008, a time period during which she was working for Hillary Clinton in various capacities including as a White House intern in 1996. Serving as an adviser to the college President and founding member of the Dar El-Hekma women’s college in Saudi Arabia. A pre-911 archived list of the college’s “Establisher’s and Trustees” included prominent Saudi Islamic bankers, a member of the Bin Laden family, and Yaseen Abdullah Kadi (aka Yassin Abdullah Kadi) who on October 12, 2001 was added to the list of designated terrorists by the U.S.Treasury. In February 2010, Secretary of State Hillary Clinton spoke to students at Dar El-Hekma. Serving as a board member of the International Islamic Council for Dawa and Relief (IICDR), an umbrella group for 86 Islamic organizations, many of which are associated with the global Muslim Brotherhood, Hamas fundraising, or support for Al Qaeda. The IICDR was banned by Israel in July 2008 as one of a group of organizations belonging to the Union of Good, a coalition of charities headed by Global Muslim Brotherhood leader Youssef Qaradawi that help to raise funds for Hamas. Serving as a representative of the Muslim World League (MWL). In addition, as of 2010 Huma Abedin’s brother Hasan Abedin was an officer of the Oxford Center of Islamic Studies, chaired by Dr. Abdullah Omar Naseef. 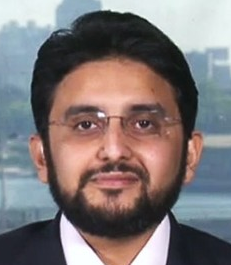 In addition to his role as the former Secretary-General of the Muslim World League (MWL), Dr. Naseef is an officer of the International Islamic Council for Dawa and Relief (IICDR), discussed above, and has also been associated with other UK Islamist organizations including the Islamic Foundation and the Markfield Institute for Advanced Studies. Until 2006, global Muslim Brotherhood leader Youssef Qaradawi also served as an Oxford Centre Trustee. The Oxford Centre has been listed as a UK affiliate of the World Assembly of Muslim Youth (WAMY), a Saudi religious organization close to the global Muslim Brotherhood that is believed to have helped spread Islamic extremism around the world as well as sponsoring terrorism in places such as Bosnia, Israel, and India. It should be noted that the Kingdom of Saudi Arabia is one of the largest donors to the William J. Clinton Foundation. On a historical note, the relationship between the Clintons and the Global Muslim Brotherhood dates back at least as as far as December 1995 when Muslim Public Affairs Council (MPAC) leader Mather Hathout was invited to the Clinton White House to discuss the Bosnia peace agreement with senior administration officials. MPAC was established originally in 1986 by leaders with backgrounds suggesting they were associated with the Egyptian Muslim Brotherhood and has since developed into the political lobby arm of the US Muslim Brotherhood. The MPAC/Clinton relationship drew national attention in May 1996 when Hillary Clinton attended a lunch hosted by MPAC. Then, in January 1998 Ms. Clinton invited MPAC and the Muslim Women’s League, an MPAC-affiliated organization, to organize an Eid al-Fitr celebration for 100 persons at the White House. The relationship continued through 2000 when MPAC director Salam Al-Marayati was included in a group of Arab-American leaders who met with President Clinton and again in April 2000 when MPAC representatives attended a White House briefing that included President Clinton, Egyptian President Hosni Mubarak, Secretary of State Madeline Albright and Egyptian Foreign Minister Amr Mousa. In August 2000, Dr. Hathout was selected to give the invocation at the Democratic National Convention.